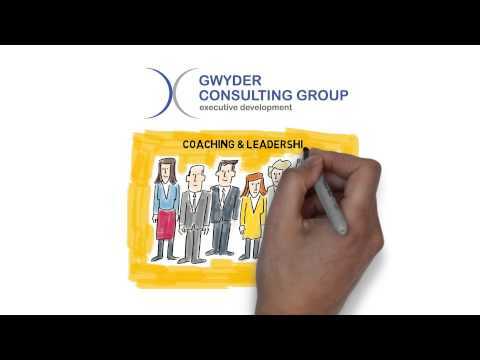 At Gwyder we provide one -to-one leadership coaching using the Marshall Goldsmith Stakeholder Centered Coaching Process, which has been universally acknowledged by some of the worlds most influential business organisations including The Harvard Business Review, The Wall Street Journal, Forbes, The London Business School, Business Week, The American Management Association and more; as one of the most effective and powerful leadership coaching approaches in the world. Straightforward, practical and time efficient, this unique coaching methodology is based on more than 38 years of executive coaching experience by Marshall Goldsmith, as well as academic research that included 86,000 executive respondents. At the heart of it’s approach is the practical realisation that leadership development needs to provide tools that can be used in a positive, focused and fast manner, because complex theories of organisational change, no matter how interesting, don’t work for over-extended executives who simply don’t have the time to engage in overly academic processes. That’s why 90% of coaching and learning in our coaching methodology is done on the job, so it doesn’t require significant amounts of time away from your workplace. (If it did, busy leaders would not do it.) Each program is custom designed to meet the specific needs of the individual executive being coached, and learning aims to fill gaps in effectiveness, based on psychometric testing and stakeholder surveys. It is an extremely effective coaching methodology and the profound difference that it makes to a leaders ability to engage with and work through their direct reports is so transformational, it often leads to productivity increases in entire departments, simply by working with the leader. We would love the opportunity to contribute to your personal leadership journey and the achievement of your career or business goal, and for many people that starts with downloading our free whitepapers on The Secrets of Effective Leadership. You can get the free reports here. We are also available to meet with entrepreneurs, executives and emerging leaders, to discuss the specific challenges they face in achieving their career or organisational goals. If you would like to find out more about our coaching methodology, you can simply leave a message with call Kerry Little, our Principal Executive Coach, or call on 0419 475 089, and he will answer any questions you have about our executive coaching and leadership programs, and how they empower effective organisations to more profitably achieve their goals.